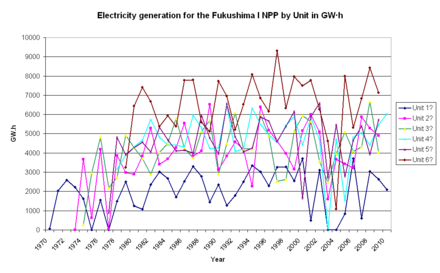 ^ The Fukushima Daiichi Accident (PDF). Wienna: IAEA - International Atomic Energy Agency. 2015-08-31. pp. 131–132. ISBN 978-92-0-107015-9. Retrieved 2018-10-12. ^ a b c d Brady, A. Gerald (1980). Ellingwood, Bruce, ed. An Investigation of the Miyagi-ken-oki, Japan, earthquake of June 12, 1978. NBS special publication. 592. United States Department of Commerce, National Bureau of Standards. p. 123. 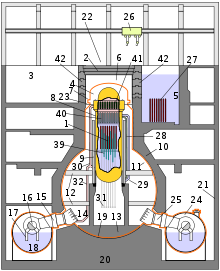 ^ "TEPCO will decommission Fukushima Daiichi 5&6". Nuclear Engineering International. 19 December 2013. Retrieved 21 December 2013. ^ Adam Curtis (16 March 2011). "A Is For Atom". British Broadcasting Corporation. Retrieved 19 May 2013. 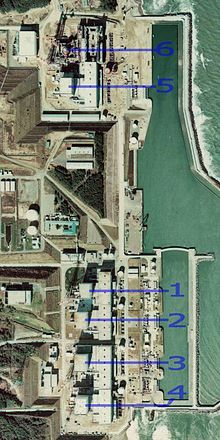 ^ "Fukushima Daiichi Decommissioning Project | TEPCO". 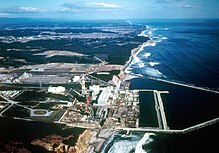 www7.tepco.co.jp. Retrieved 2018-12-22.